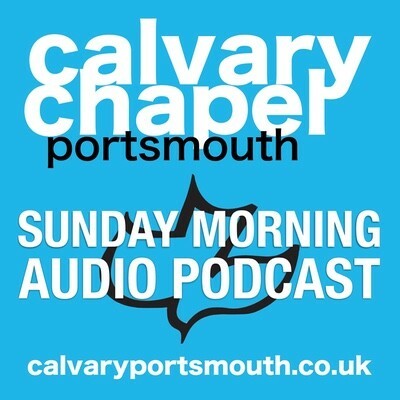 This verse by verse study of Mark 15 1-16 was given by Pastor Barry Forder at Calvary Chapel Portsmouth’s family service on 2nd December 2018. The Powerpoint slides used in this study are available as a free download. Chapter 15 sees Jesus taken from the palace of the High Priest to a somewhat disgruntled Pilate! As far as he was concerned, this was a Jewish matter and one not worthy of his attention. Yet, due to the emotionally charged situation, and the fact that this was occurring at one of the busiest times in the Jewish calendar, he could not afford an uproar in Jerusalem – something that the Jewish leadership could all too quickly arrange if their demands were not met. In an attempt to get ‘off the hook’ Pilate offered the customary act of clemency, that of releasing a prisoner. Pilate offered them Jesus but the people (swayed by the Jewish leaders) demanded Barabas. Barabas (lit. ‘son of the father’) was guilty. Jesus was innocent. Thus here we see a model of the great exchange: ” he who knew no sin became sin for us, that we might be made the righteousness of God in him” (2 Cor 5:21). Then, in an eternal declaration of Christ’s victory over the Devil, His bruised feet on Golgotha are literally on the head of the enemy! How so? Golgotha was known as ‘The Place of a Skull’. Whose skull was so significant that the place of its burial would be immortalised? Why would a place become famous for the burial of a skull rather than a body? What would cause a skull to become disconnected from the body it had once been a part of? We get a clue back in 1 Samuel 17:54 where we read that “David took the head of the Philistine, and brought it to Jerusalem; but he put his armour in his tent”. This may well qualify for one of the most obscure verses in the Bible! Not least for the fact that, at the time David killed Goliath, Jerusalem was under the control of the Jebusites; to take the head of Goliath there then was to risk life and limb. So why did David do it? The only explanation can be that the LORD told him to. But why? The logical answer is that God was intentionally setting up a model to be fulfilled when, some 1000 years later, the Son of David would declare victory on the very spot the head of this satanic embodiment of evil was laid to rest, by placing His feet on Goliath’s severed head. And the name of the place? Gol-Gath-a Goliath of Gath!